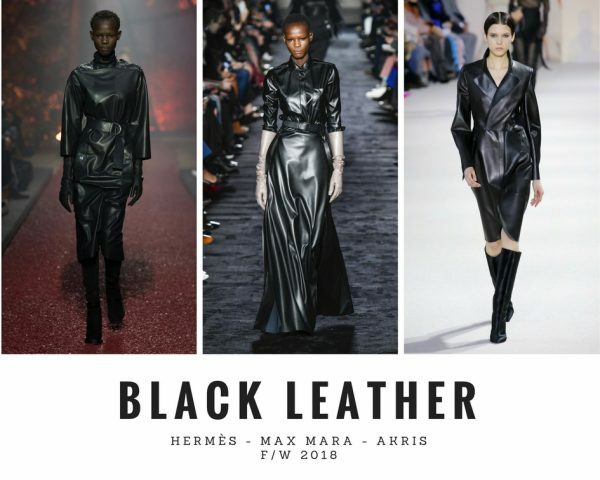 You are currently browsing the archives for the tag 'black leather'. 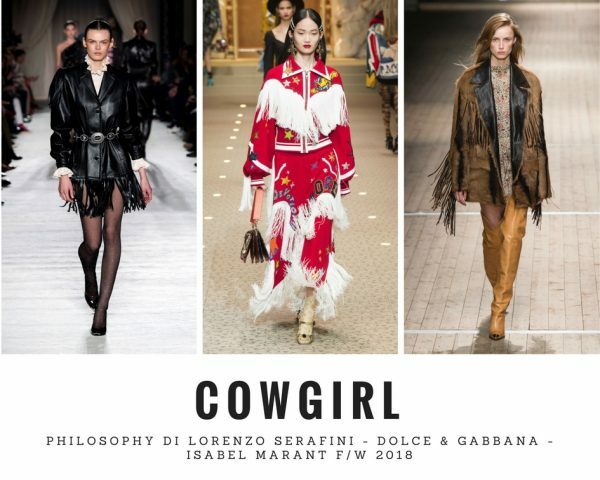 After four cities, countless runway shows, it’s time to reflect on the themes and trends that emerged, both within the fashion industry and the cultural vibrations in general. So what’s new for next winter? Plenty. 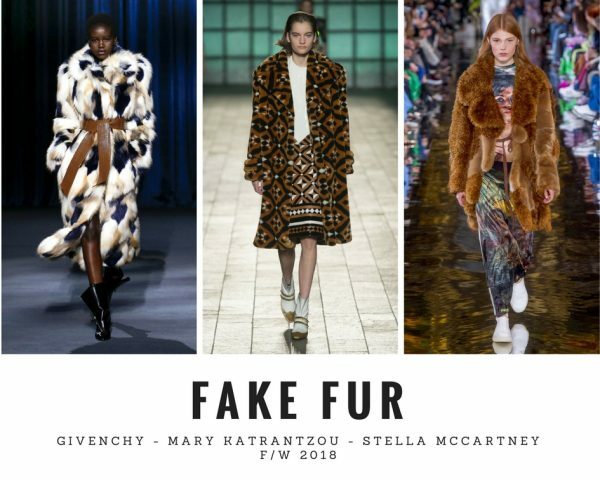 Easywear continues to be big, we’ll still see lots of ’80s references, and real fur has almost disappeared. The overall trend might have been towards real clothes that are easy to wear in daily life. 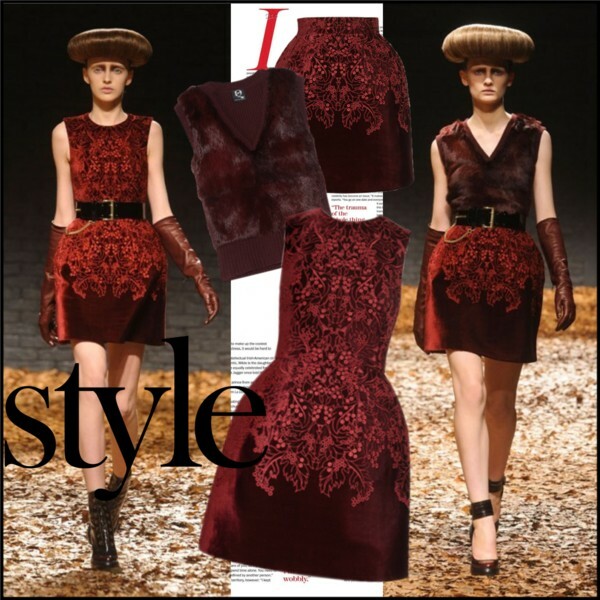 Next winter will be determined, celebrating individuality and style with a multitude of trends that are dying to be worn. It’s all about having fun! 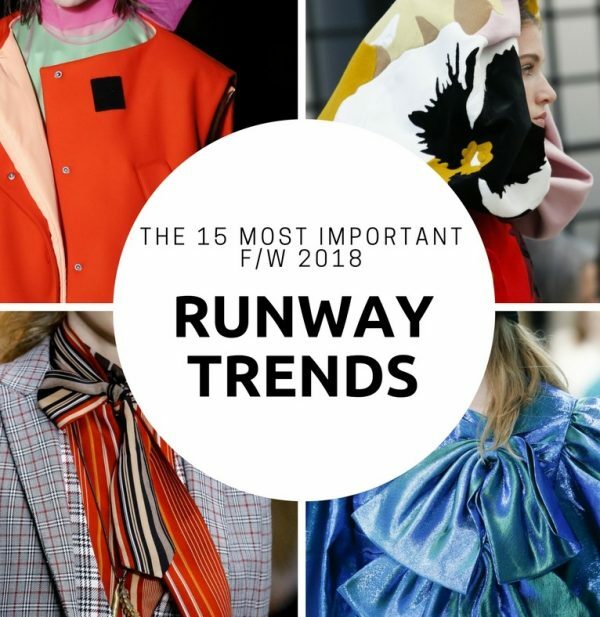 Below is a summary of the most important trends for F/W 2018. Enjoy and choose yours! 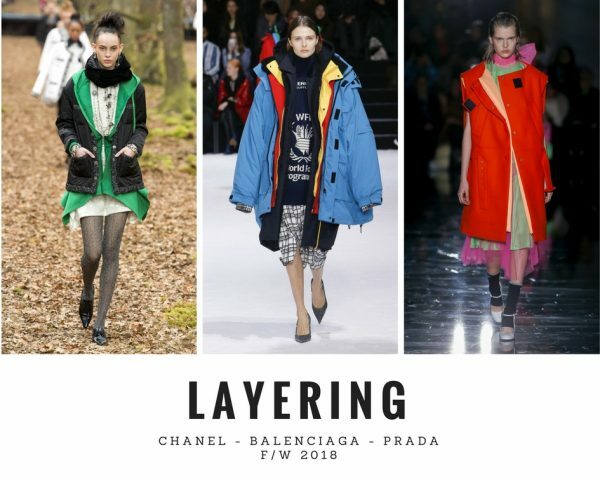 Layering is the absolute must next winter, with plays on texture and volume in a masterful game of accumulation. After Gucci announced that it won’t be using any more real fur, many brands have followed the movement. 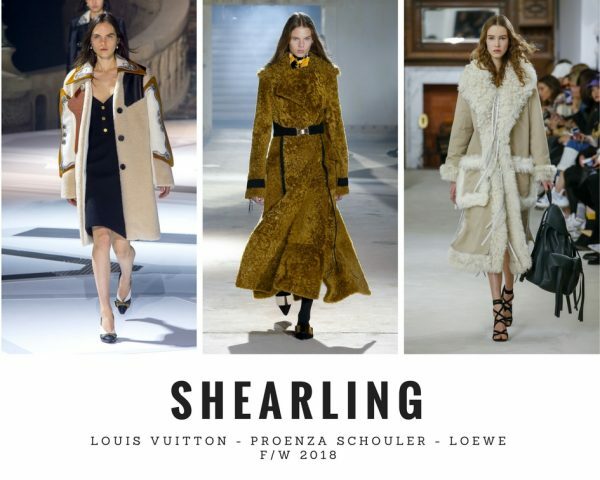 The only «real» fur trending next season is sheepskin which seems to be the natural choice for a cold weather wardrobe. 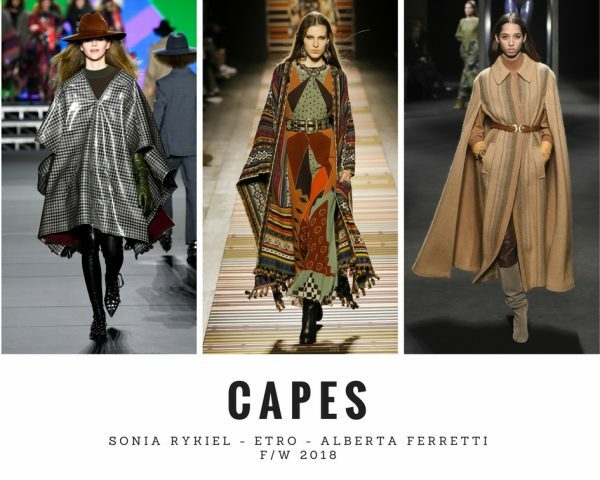 One of my favorite trends: the comeback of the cape, so versatile and easy to put over even the biggest sleeves. Checkmate! 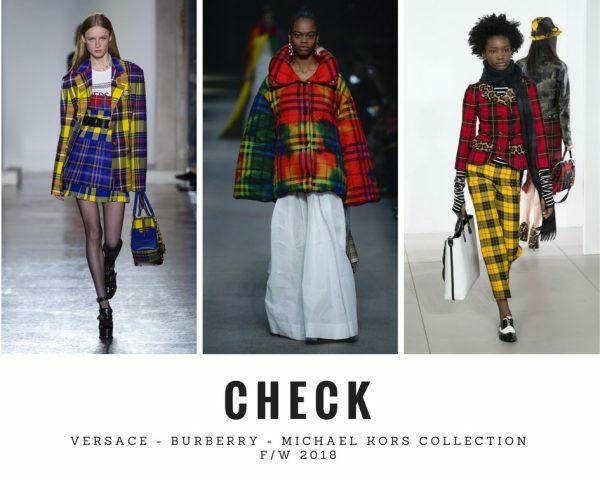 Checks are at its best in fantastically mad all-over and color-blocked looks. 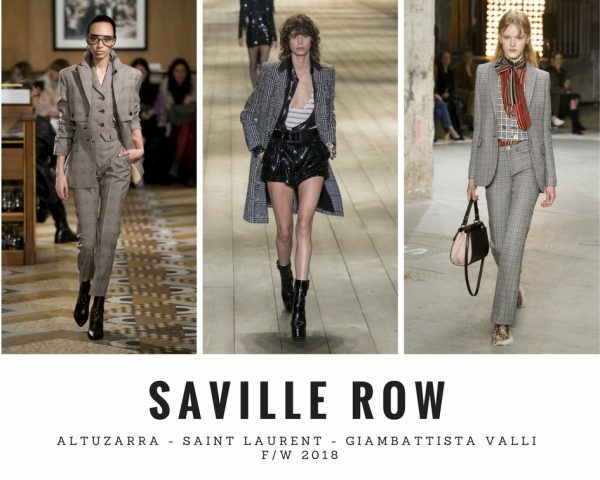 Classic Saville Row fabrics such as herringbone, glen plaid, and houndstooth look richer than ever. Enter the season with some swagger and a great men’s overcoat. Wild West feeling! 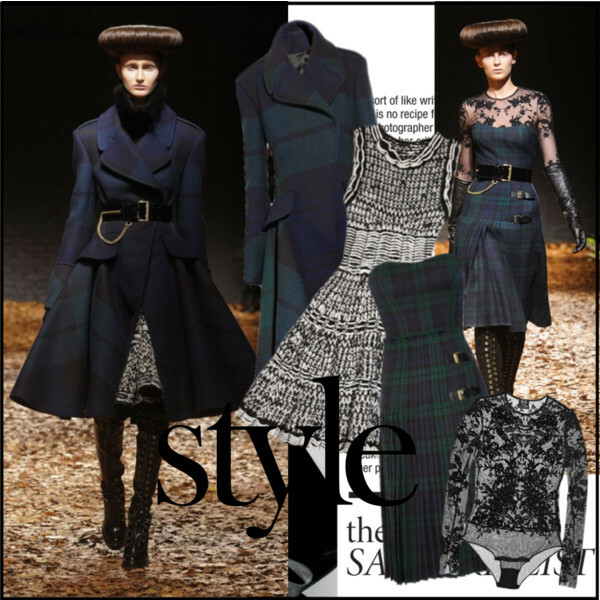 Fashion looked to America to discover the New World through Western accents. Black leather is out in full force. Rock your glam power woman silhouette with an sophisticated attitude to take the idea from Matrix remake to decidedly modern. 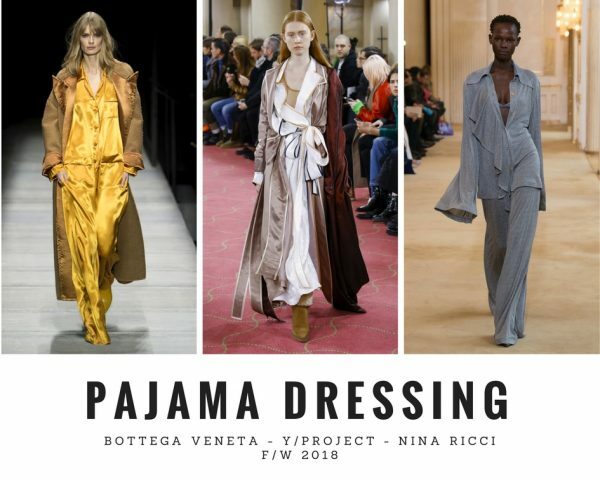 With a sensual masculinity and a boudoir elegance, those runway looks proved once again that nightwear is not restricted to an evening in. 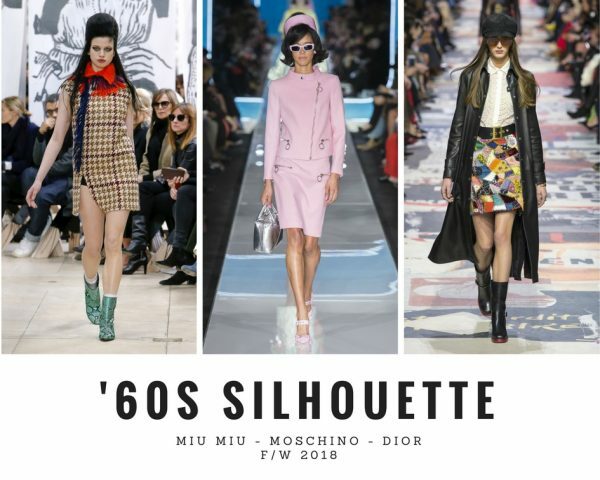 From Brigitte Bardot’s beehive to Jackie Kennedy’s pillbox hat, and Mary Quant’s geometric prints, every ’60s fashion icon’s style has been revisited this season. I don’t remember one season without any florals on the catwalks. 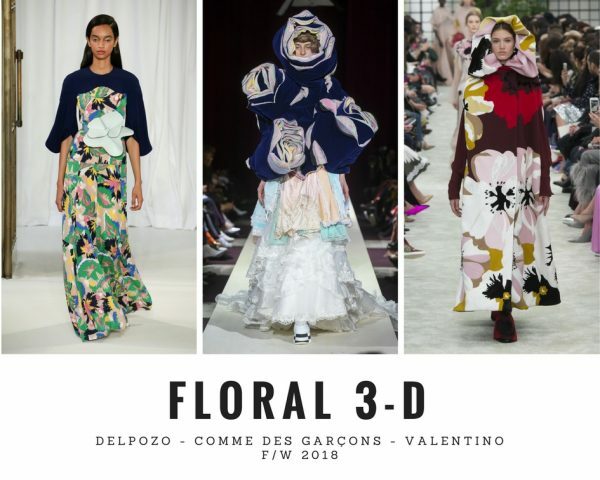 F/W 2018 is no different -perennials come in every charming varietal – most important update is the three-dimensional effect. 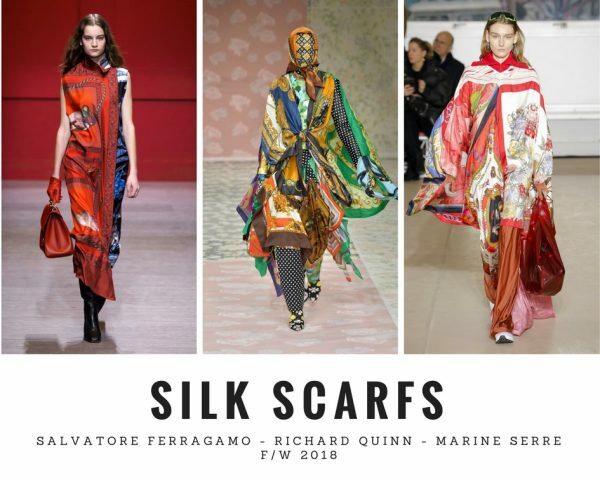 This season, scarf prints are worn all over the body for a vibrant and flowing appearance. 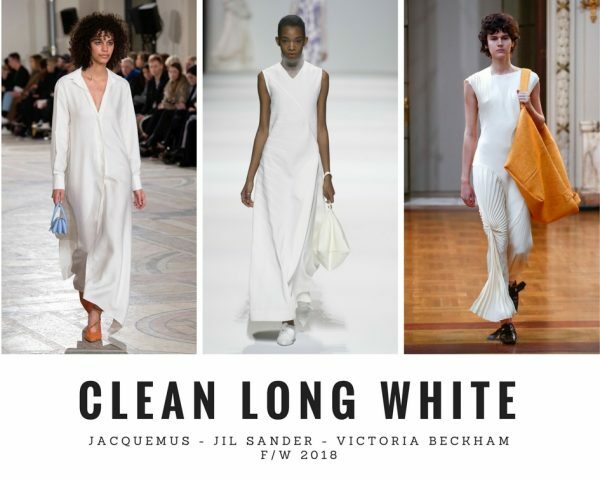 With all these vibrant looks on the runway, clean, lean, and chic-white seems to be a very welcome alternative. Think: Maxi in length and slim in silhouette. 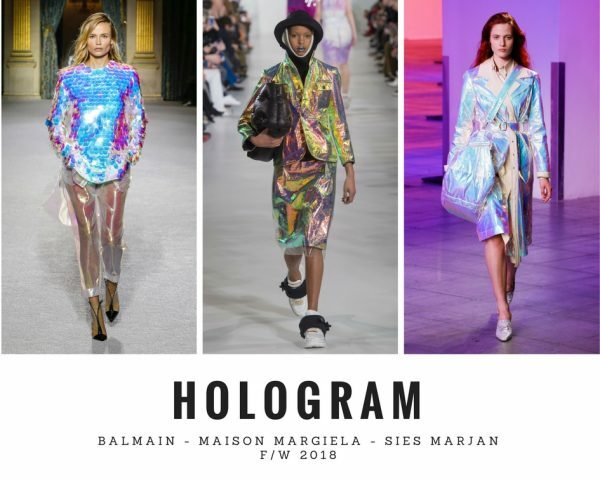 Ultra-reflective, high-shine materials – holographic, futuristic looks are big this winter. 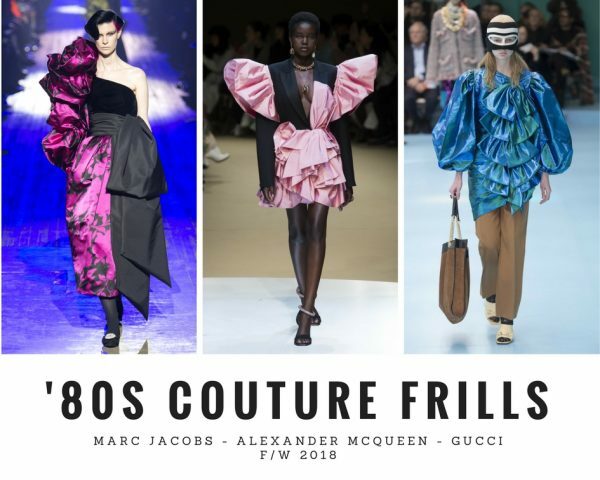 Think Dynasty in the ’80s where the focus was on glamorous eveningwear: sensual and festive frills.